Welcome to the Bannerman Group! We are a family owned business, committed to putting our customers first. From our Peugeot dealerships in Kildary and Elgin, we offer the full NEW Peugeot car and NEW van ranges. Our Peugeot locations provide a comfortable, friendly and pleasurable experience for our customers. Our Peugeot service departments, offer manufacturer approved service, MOT's and parts. We have trained customer service advisers who are accredited as Peugeot Pro²Ace foundation dealers, again, to ensure our customers receive the high level of customer service they are used to. Alan Milne is Moray's local Peugeot Business Centre and has a business and fleet specialist to assist with all of our business needs. Alan Milne in Elgin, has an Isuzu Pick-Up Professional to assist those customers in need of a new or used Isuzu. 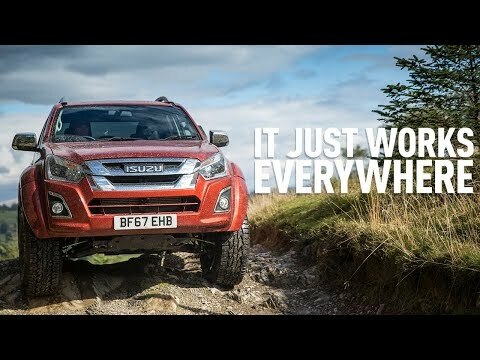 The workshop on site, carries out Isuzu servicing, MOT testing and can provide manufacturer approved parts and accessories, so that you can personalise your work horse. Harbour Road in Inverness is home to our SEAT dealership. We are very proud of our 1st place "Most Improved SEAT Dealership 2017" award, and we are confident that our professional SEAT team can assist you in finding the right vehicle for you and your lifestyle. The service and parts team at Bannerman SEAT, provide approved main dealer servicing and MOT testing with award winning customer service. Discover the new SEAT range in Inverness with our Bannerman SEAT team. We have extensive used car ranges across our dealerships and offer a 5 YEAR WARRANTY with all of our used vehicles. At The Bannerman Group we don't just sell cars, we do everything possible to get you driving your perfect car. Why not visit Ken's Garage, Kildary, Alan Milne in Elgin or Bannerman SEAT, Inverness? 5 year warranty with every used vehicle. t's & c's apply. Stay up to date with all the latest news from Bannerman Group, including new model releases and more. We are your local SEAT & Peugeot Franchised Dealer and your first choice for everything SEAT & Peugeot. If you are looking for great savings on New and Used cars in the Inverness or Highland area, then you have reached the right place. Bannerman Group is a family owned business and is committed to customer satisfaction and loyalty.